It looks like Netflix is as unbreakable as Kimmy Schmidt. 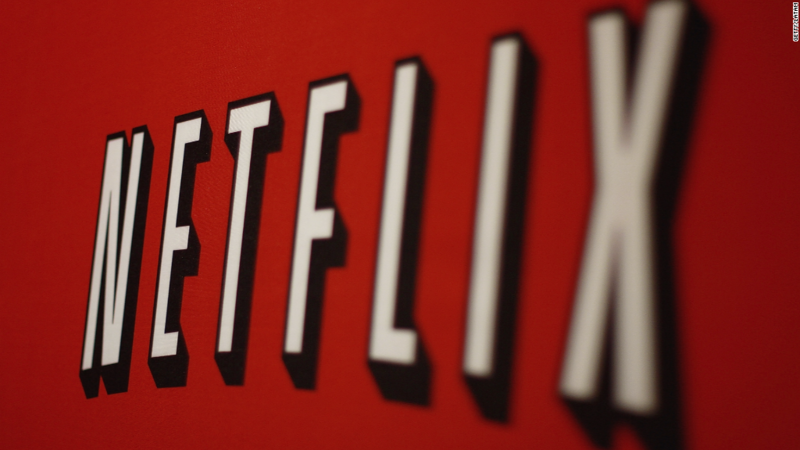 Netflix (NFLX) saw strong membership growth in the first quarter of 2015 with it totaling 62.3 million members on the service. The streaming site reported 4.9 million new members were added in the first quarter of the year. This number was up from the 4 million subscribers it added in the same quarter last year. Investors seemingly loved what they saw from the report with the stock soaring as much as 13% in after hours trading. At these levels, the company's stock should open at all-time highs on Thursday. The company also announced that it broke through 40 million members in the U.S.
"We think strong U.S. growth benefited from our ever-improving content," the company said in a letter to investors. Netflix didn't exceed all expectations. The company came up short in its earnings per share with $0.38, which was well under its projection of $0.60. Netflix explained that the EPS numbers took a hit due to currency exchange losses because of the surging dollar, and without that would have been $0.77. One of Netflix's chief competitors, HBO, got into the subscription video marketplace earlier this month with the $15 a month "HBO NOW." Yet, the company didn't seem too concerned with the cable network's presence. "As we have said in the past, Netflix and HBO are not substitutes for one another given differing content," the company said in its letter to investors. "We think both will continue to be successful in the marketplace." Netflix's earnings come at a time where the company is launching new shows and is also seeing a bit of resurgence in its original programming slate. Last year, CBS chief research officer David Poltrack was critical of the company saying that the service hadn't had a hit since 2013. Yet, in the past few months, the company has introduced new series like "Bloodline," "Unbreakable Kimmy Schmidt," and Netflix's first Marvel series, "Daredevil," all of which have amassed critical acclaim and positive reaction from viewers. Away from the successful premieres of its new original shows, Netflix also inaugurated the third season of "House of Cards" in February. The political thriller starring Kevin Spacey is one of the company's trademark programs, but some wondered if it would return for another season. Netflix put that doubt to rest in April when it confirmed that the drama would return for a fourth season in 2016. "House of Cards" won't be the only Netflix original returning next year. Early on Wednesday, the company announced that another of its beloved original series, "Orange Is the New Black," would also return for a fourth season in 2016.